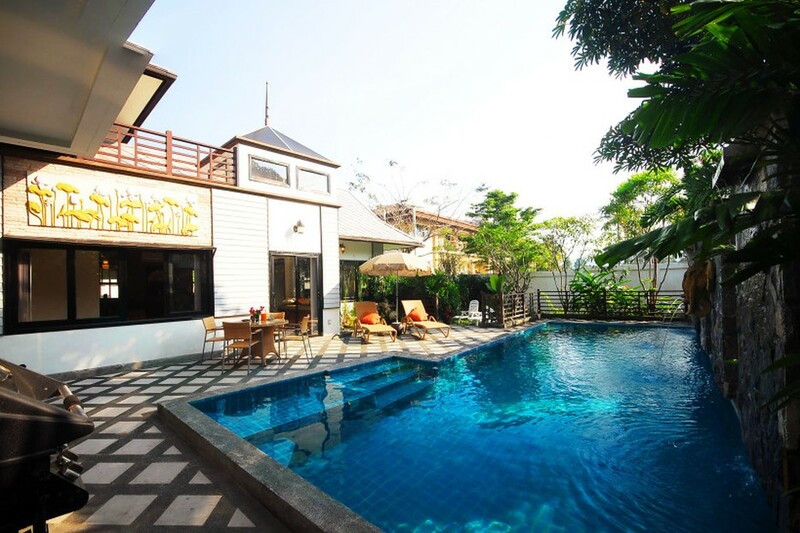 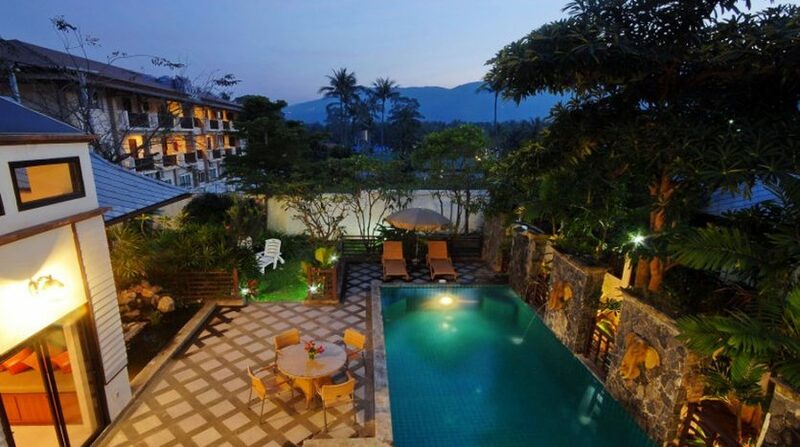 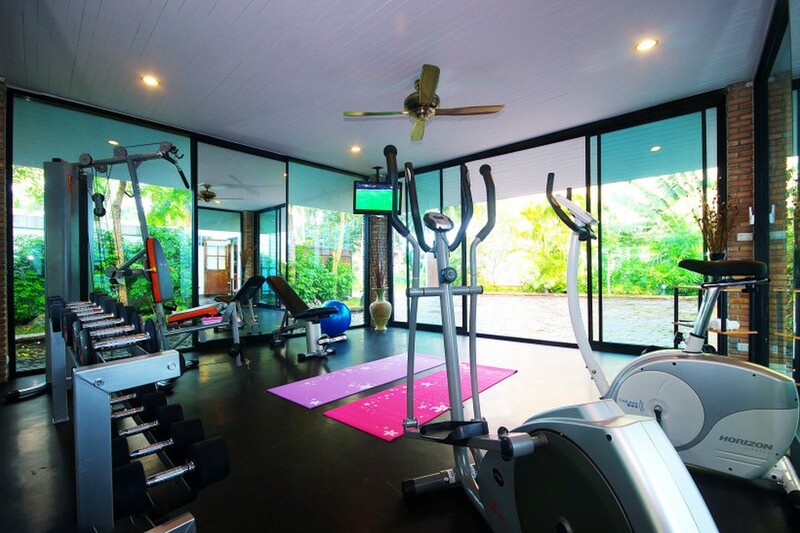 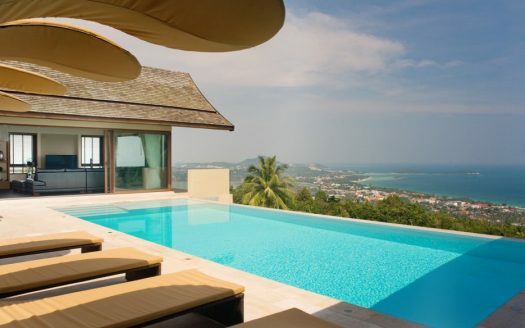 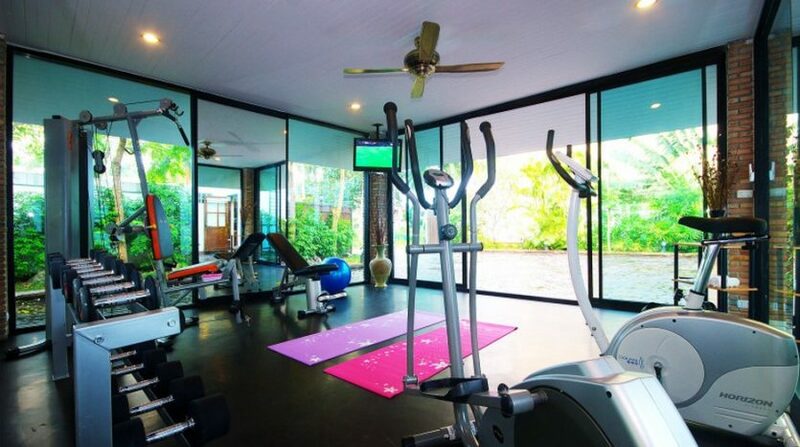 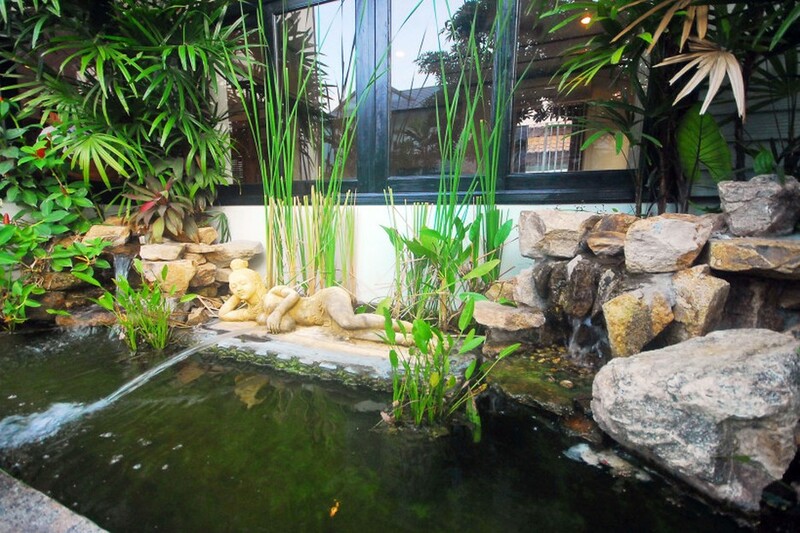 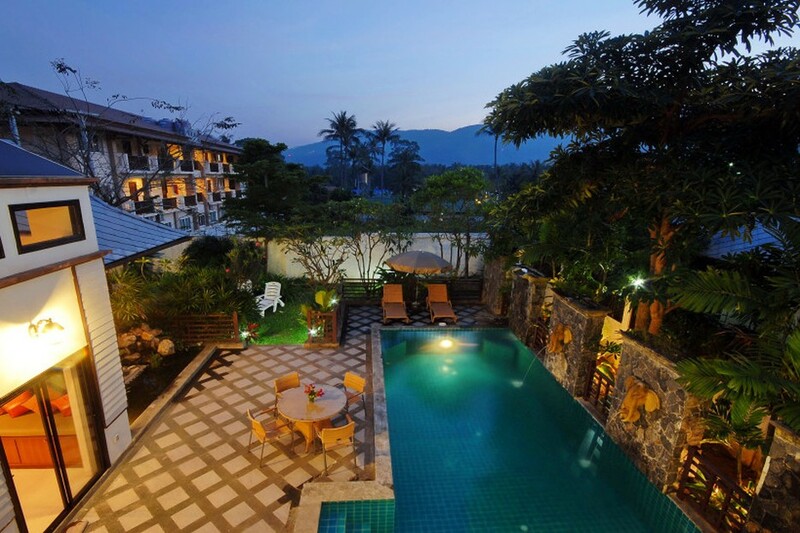 Beautiful sea views and mountain views in the high-end complex less than one kilometer from beautiful Chaweng beach! 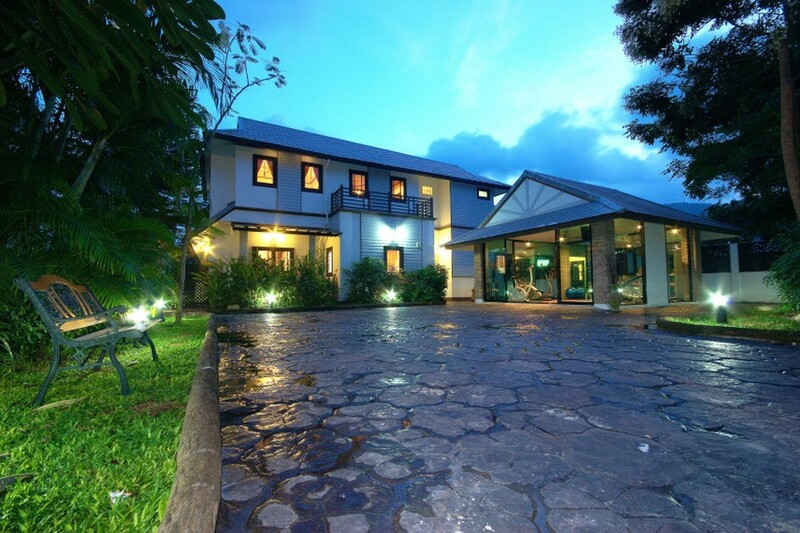 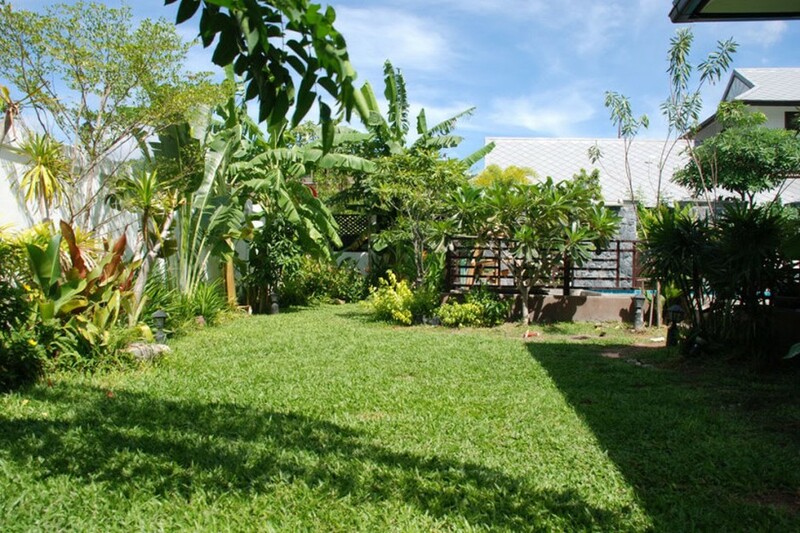 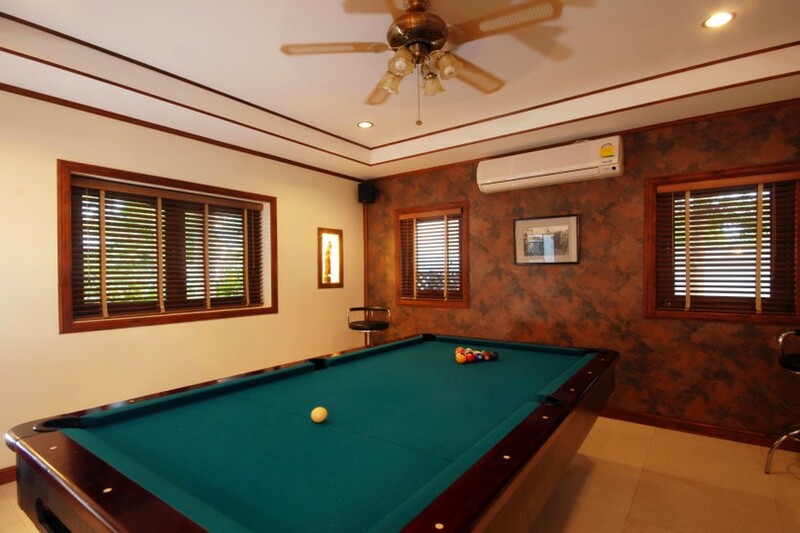 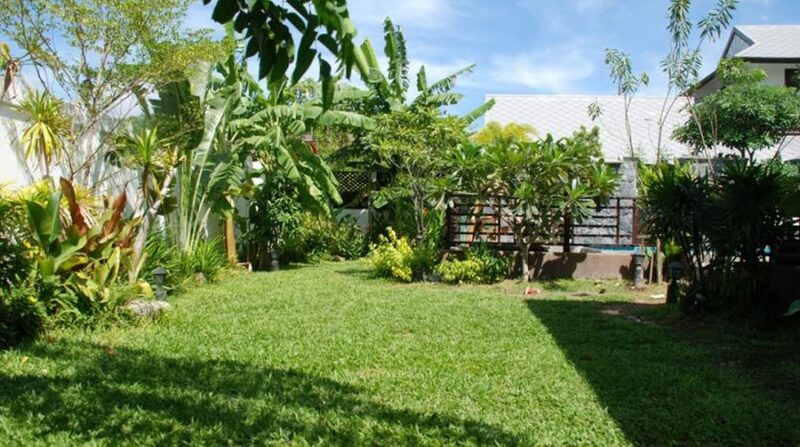 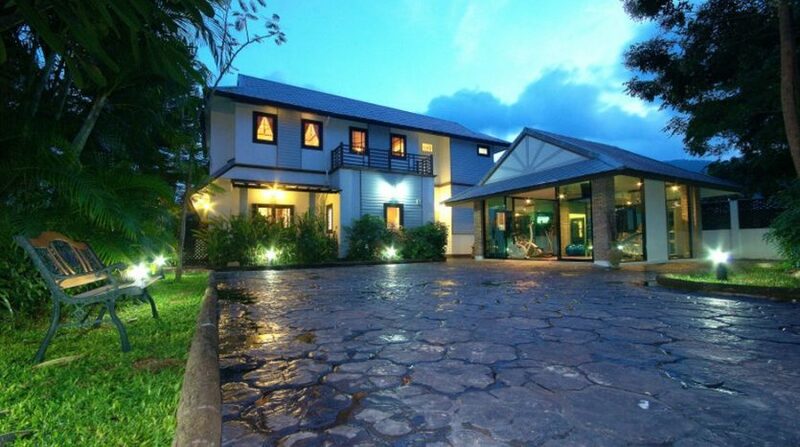 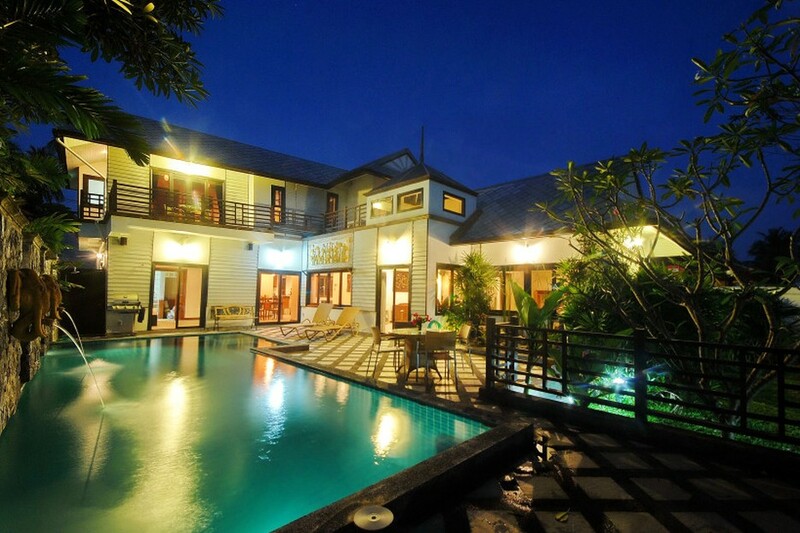 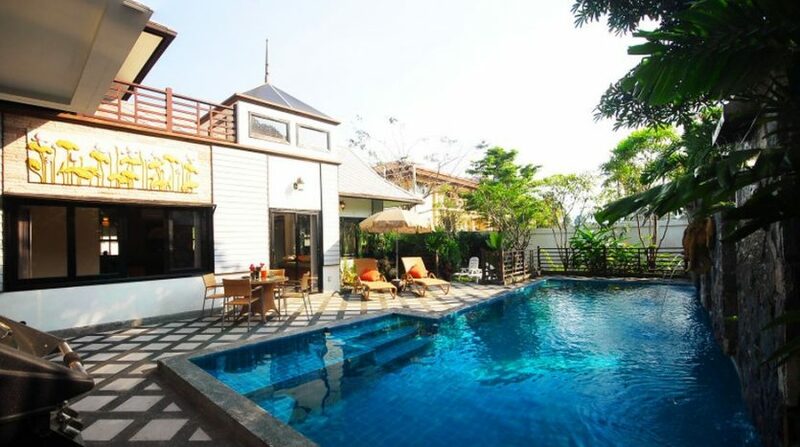 This exquisite and luxury 4-bedroom/ 5-toilet property blends Thai tropical sophistication with the best European specifications and comforts with air conditioning and overhead fans throughout. 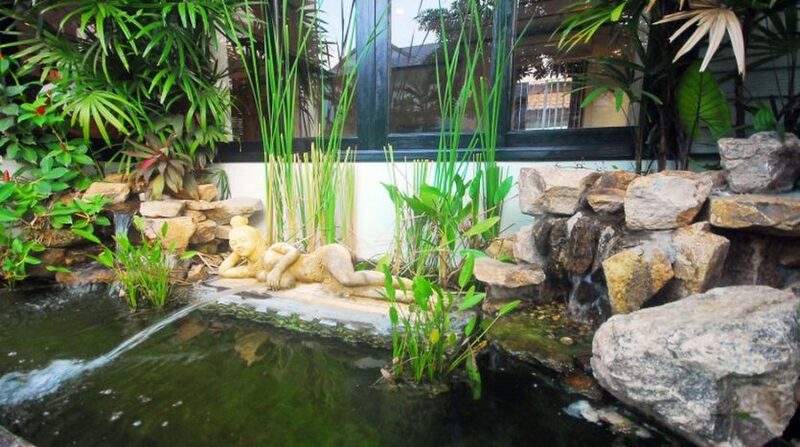 The primary level offers parking places with tropical gardens and yards going to the pool featuring four well-appointed ensuite double bedrooms are wonderfully decorated with appealing Asian artwork. 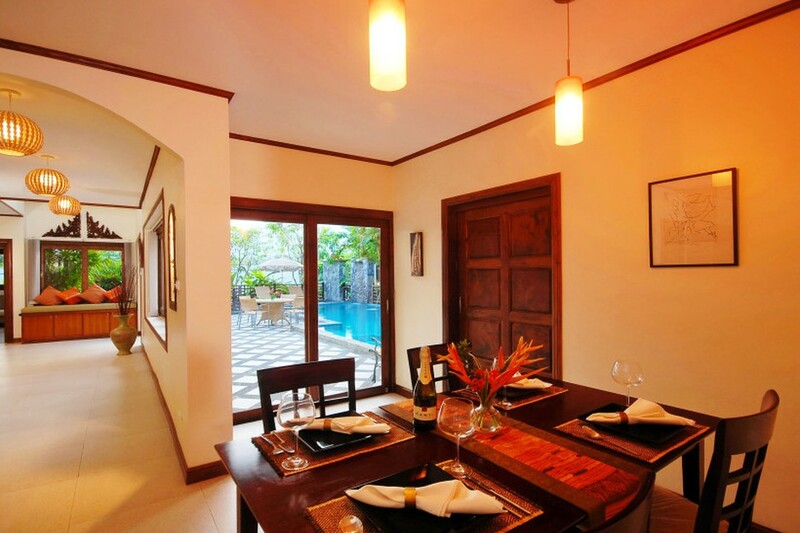 The two master bedrooms are in the principal building and the other Bali-design Wing houses 2 more ensuite bedrooms. 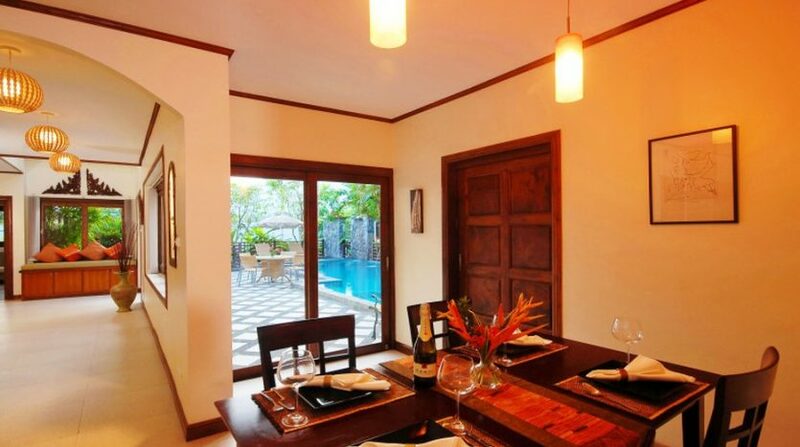 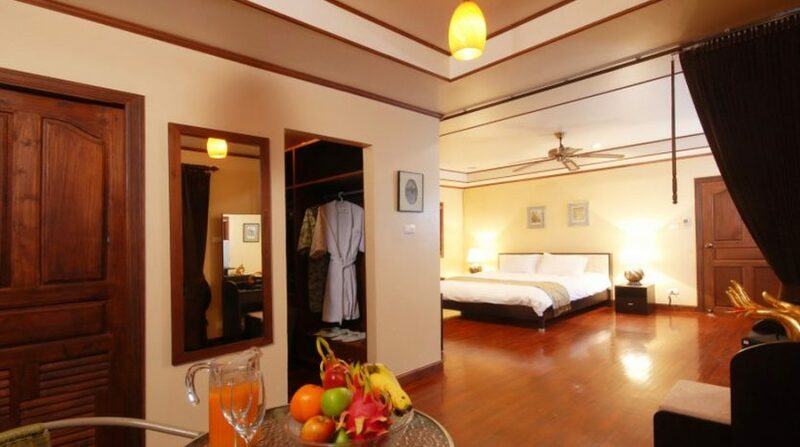 The two Bali suites provide individual privacy and are nicely designed with mini-refrigerator, full bathroom, Satellite Television, private safes, and wardrobes. 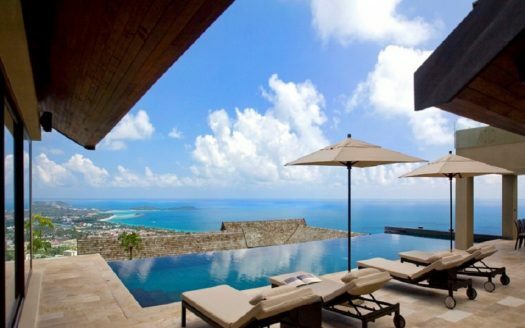 The ethereal upper primary living floor consists of an expansive family room, attractively lit at night time with hidden lighting and this level appears to fold open from the ground to ceiling windows onto breathtaking sea and mountain views. 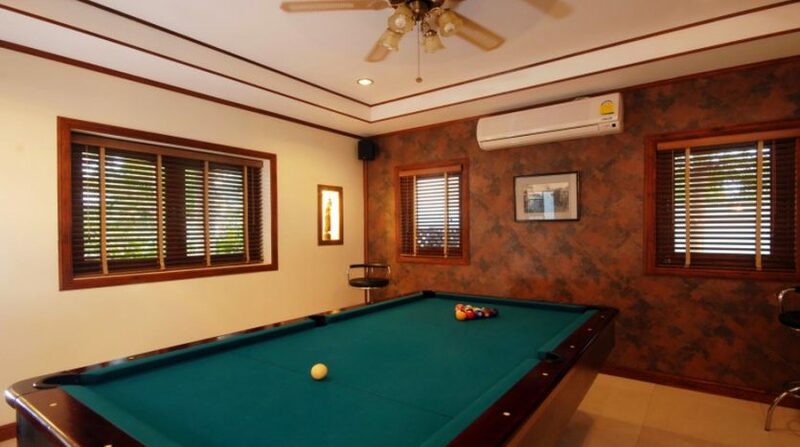 Complete with luxurious furnishings, Asian artworks, as well as a surrounding space couch for gay social gatherings, the chamber also boasts state of the art audiovisual techniques, along with an office alcove and library. 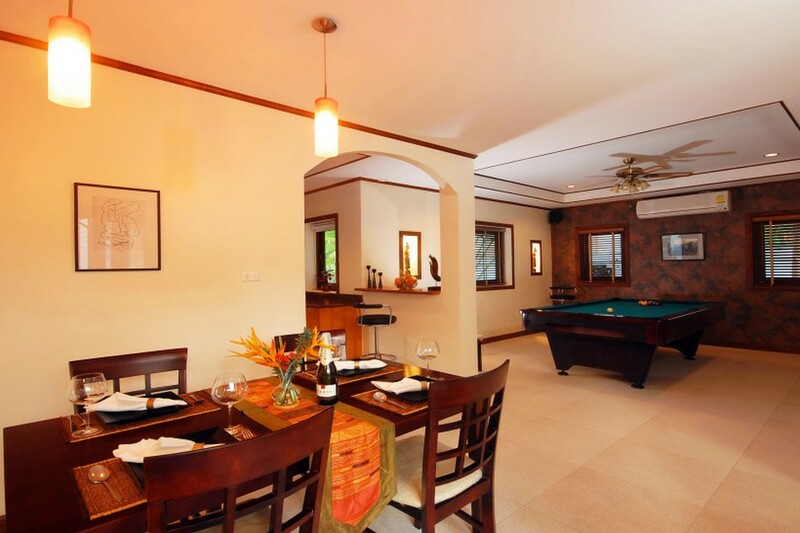 The reverse finish functions the kitchen as well as dining areas, with seats up to 8 at a brilliant Thai constructed table. 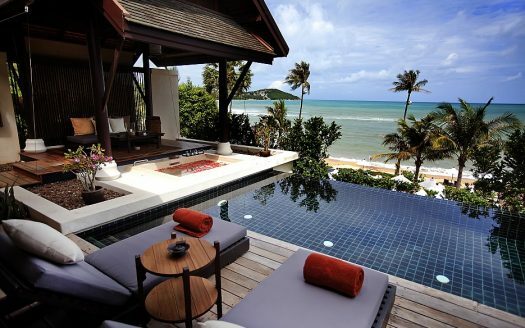 The outside couch space supplies further cushioned relaxation having a third table for al-fresco meals. Also on deck is a shaded space ping pong dining table and open air shower. 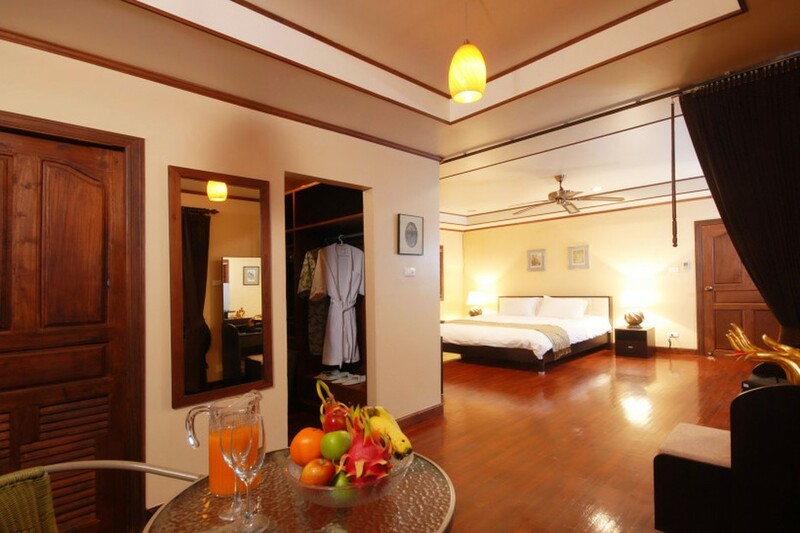 Price: $ 220 / day min.